Happy Friday. Brian and I are enjoying our adults only vacation and acting like kids ourselves. 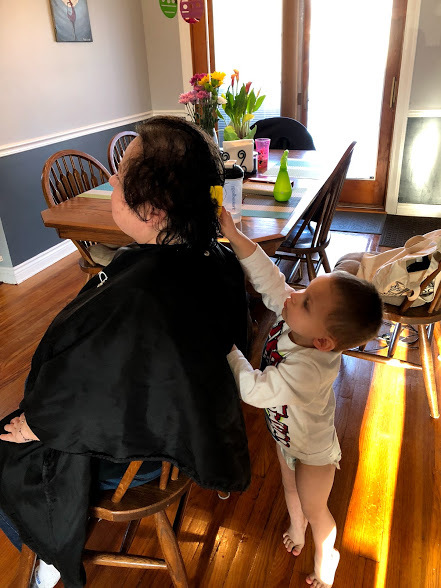 My kids are at home enjoying the warm weather Ohio is having and spending lots of time with Memaw. Austin helping me cut Memaw's hair. Somewhere I have a photo around the same age doing the same thing. Don't we all just sit in empty Girl Scout cookie boxes?